The Panther Gold Slides- Black is a stylish casual footwear for men. It is well-constructed and designed to stand the test of time. High quality leather was used in making it which ensures you can wear it for a long period of time. This is the kind of footwear to wear for a casual stroll around the neighbourhood or for running quick errands. Adding this sandals to your footwear collection will help ease the pressure on all your other casual sandals. You can wear it to fun places like the beach or pool and at any time of the day. The Panther Gold Slides - has a black colour and gold designs which will blend with any outfit in your wardrobe. After a long day in the office, it is nice to switch from your formal shoe to a comfortable sandals like this. 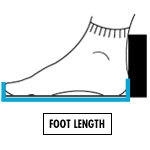 Your feet will be able to breathe properly as you walk around the house. The sole has been properly constructed to stand the test of time. It has a chain detail that stands you out from the crowd. No matter how long you wear it, it will continue to retain its solid form. This is the kind of footwear that will give you a relaxed yet stylish look. You would do well to own a pair for it will keep your feet cozy all day long.